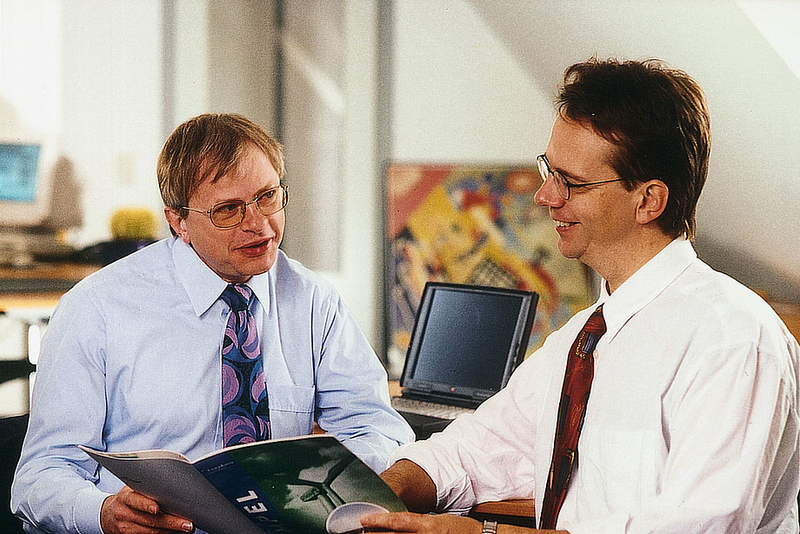 The company was founded in Bremerhaven by Günter Lammers and Dr Bodo Wilkens (from left to right) in 1990. 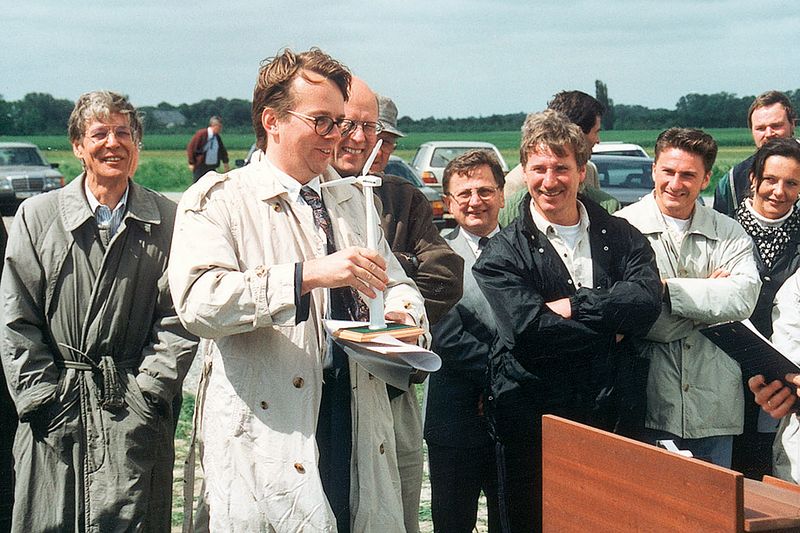 In 1994, the first Energiekontor wind farm is erected in Misselwarden on the North Sea coast. 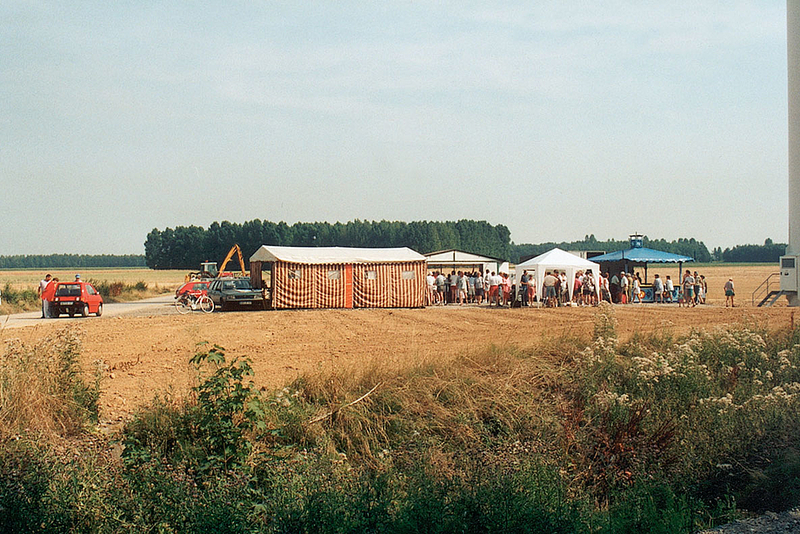 The first Energiekontor wind farm in North Rhine-Westphalia is commissioned in Grevenbroich on a coal mining spoil heap in 1995. „The realisation of every single wind farm is a very personal moment, and it is important to us to reach each individual person”, company founder Dr Bodo Wilkens explains. Wind turbine technology advances rapidly. 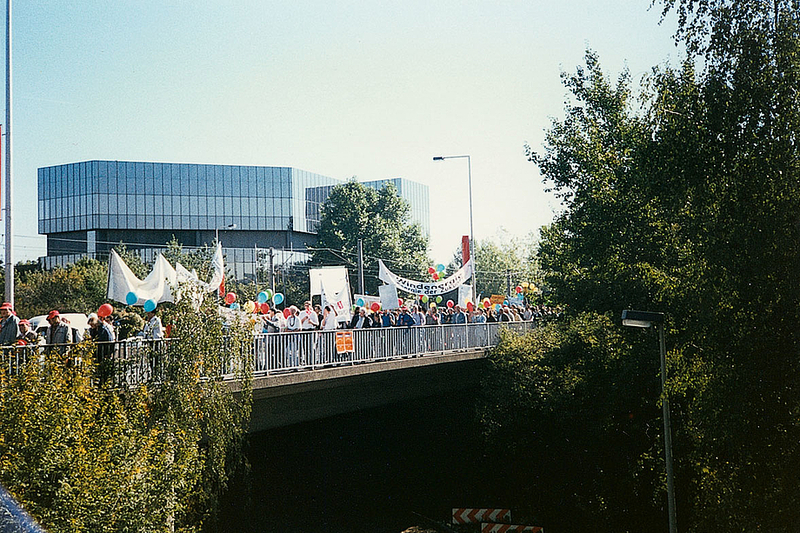 1999 The IPO and the establishment of branch offices in the UK and Portugal had a lasting effect on the company. 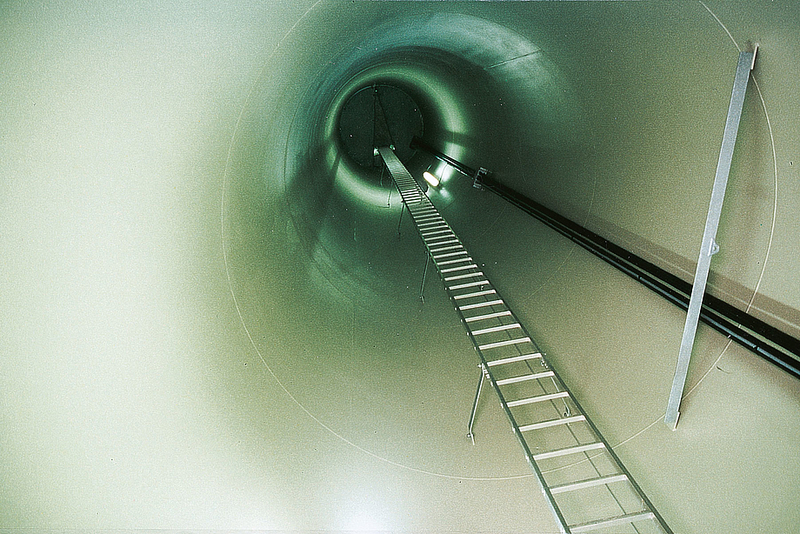 Climbing up into the nacelle - by ladder at the time. Without wind energy and photovoltaics the energy transition is not achievable. Coordinating complex planning projects is one of our core competences. 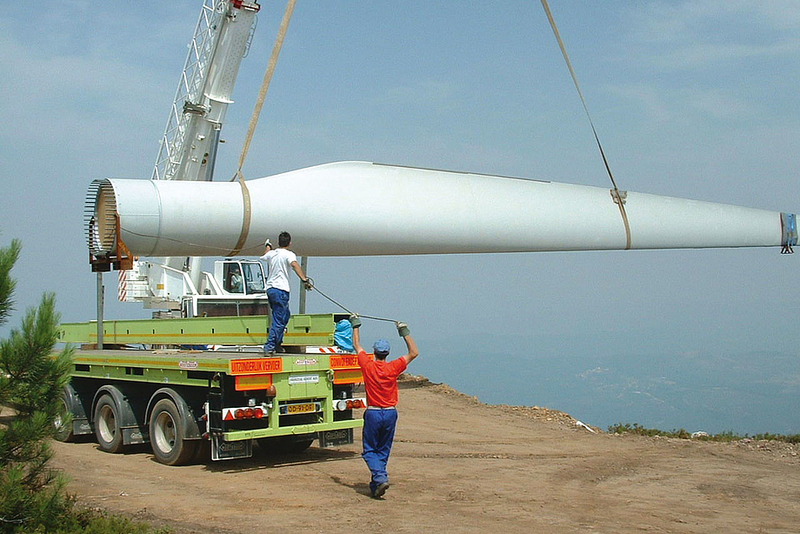 In 2003, the first Energiekontor wind farm is erected in Portugal. 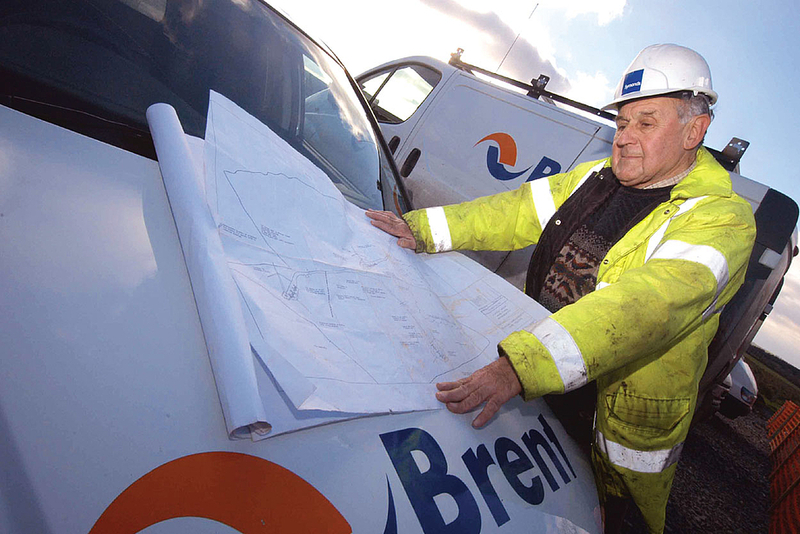 Planning major projects out at sea has become part of the industry. 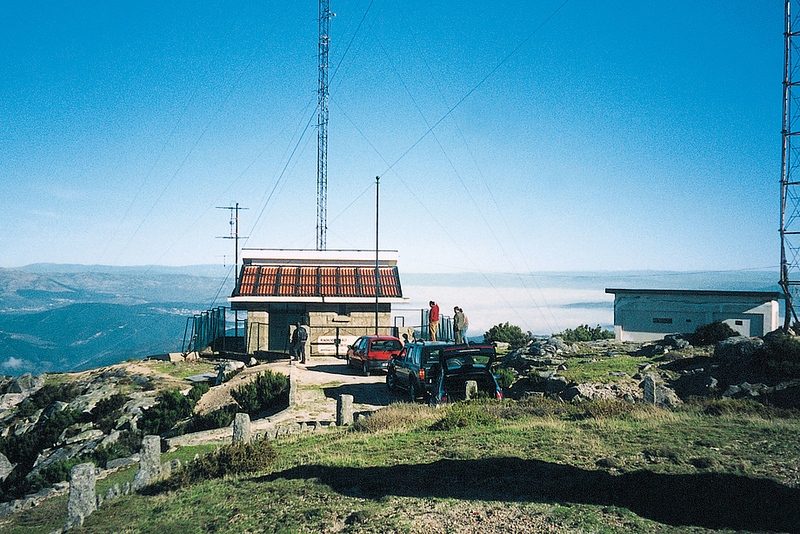 On-site wind measurements in difficult terrain in Portugal and the UK take place at an early stage of the planning process. Günter Lammers and Dr. Bodo Wilkens set up Energiekontor Windkraft GmbH in Bremerhaven. The Electricity Feed-In Act (StrEG) adopted at the end of the year paves the way for the young wind energy industry to enter the electricity market. The company spends its first years building the business mainly on the North Sea coast in the state of Lower Saxony. 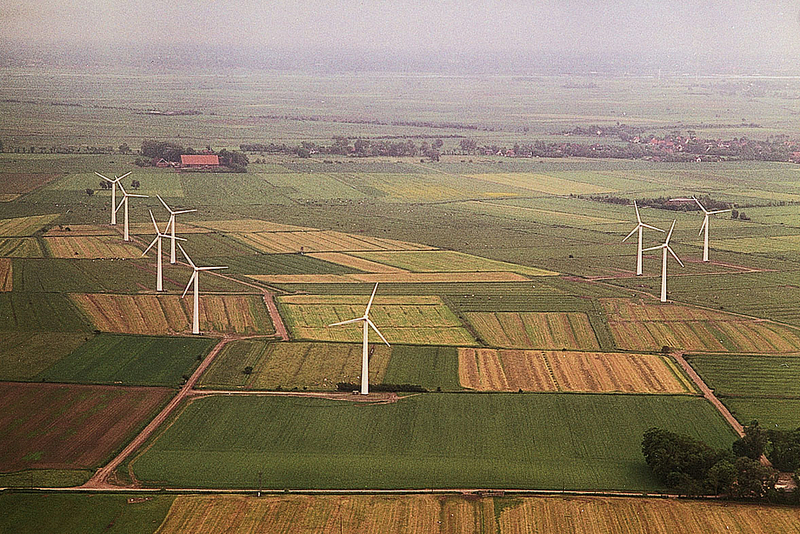 The first wind farm is developed in 1994 in Misselwarden, near Bremerhaven. Ten turbines, each with rated power of 500 kilowatts, are installed there - in those days, the largest on the market. Energiekontor founds its first subsidiaries in other European countries, namely Greece and Portugal. The first branch office in the UK follows in 1999; together with Germany, the UK is to remain one of the core markets to this day. An office in the Netherlands is also added in 2016. The company has meanwhile erected wind farms with power in excess of 200 megawatts. The company goes public in 2000 in order to be able to further expand abroad. 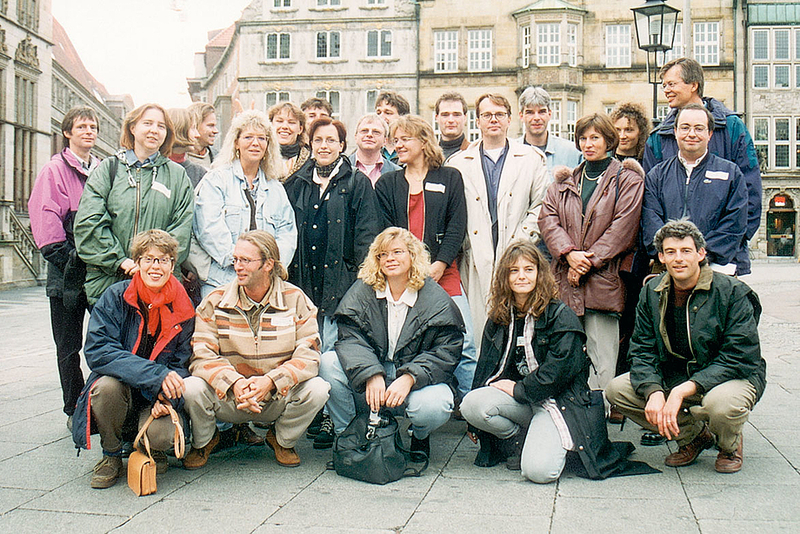 Energiekontor Aktiengesellschaft is born as a public limited company under German law. The company will also issue corporate bonds from 2008. Modern turbines gain in power and efficiency, which in turn allows older turbines to be replaced by new, more powerful ones – this is called repowering. 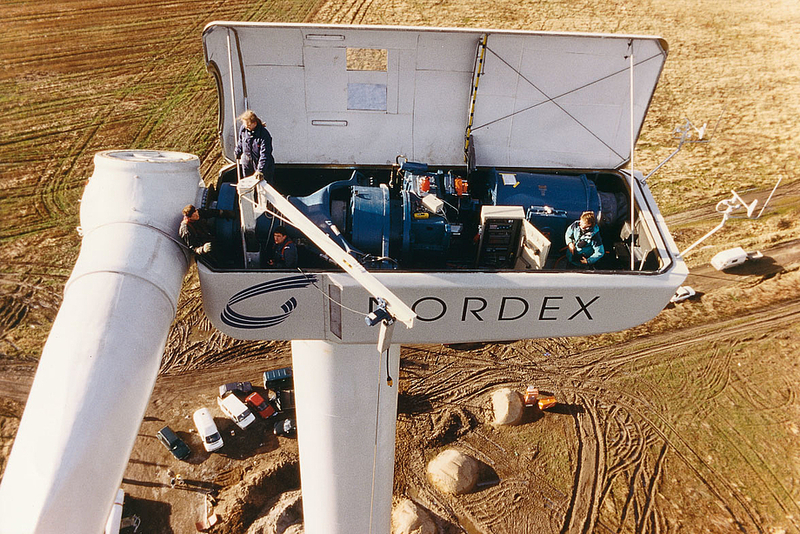 In 2001, Energiekontor implements its first repowering measures at the Misselwarden wind farm, increasing the rated power of the converted turbines by 30 percent. Today, it is possible to multiply the performance of the turbines at a site. Energiekontor Finanzierungsdienste GmbH & Co. KG is founded. This company is responsible for interim financing and project financing of wind energy projects, both in Germany and abroad. By 2016, the company and further subsidiaries will finance more than 20 wind farms in step-up bonds. 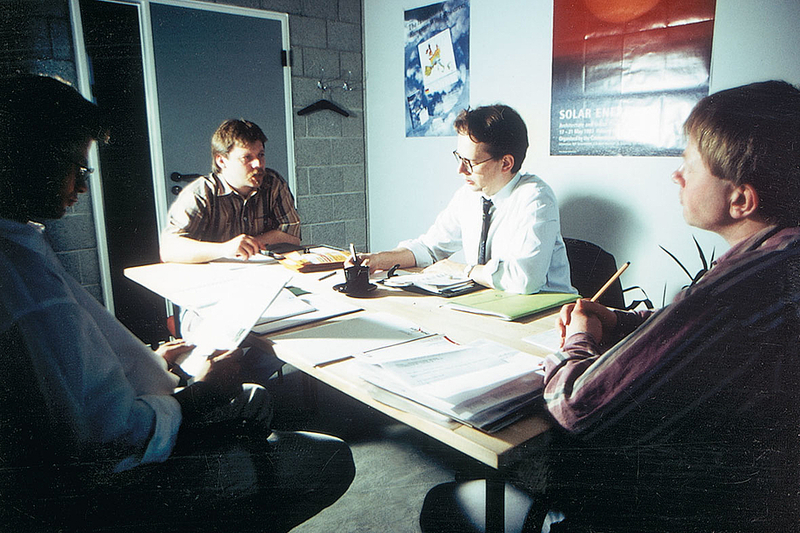 Energiekontor began to plan wind farms on the sea already in 2001. 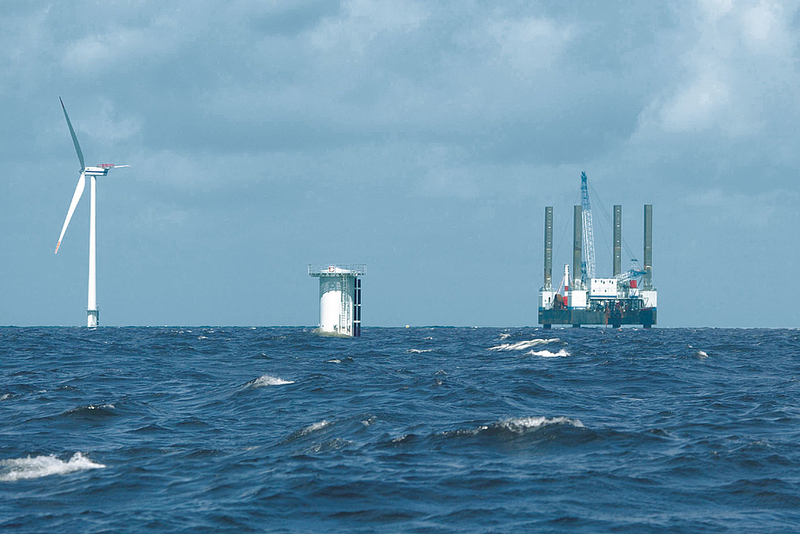 The time is ripe three years later when the offshore wind farm Borkum Riffgrund West is granted its construction license. It is the first of three offshore projects that Energiekontor will develop and sell. By 2009, Energiekontor has planned and built wind farms with total rated power of 500 megawatts. They are located in the Group’s German key regions, namely in northern Germany and North Rhine-Westphalia, as well as in the national markets of Portugal and the UK. Total investment volume exceeds 720 million euro. Energiekontor supplements its core business of wind energy in 2010 by adding photovoltaic sites. In the same year, the company installs the first solar roof on a business development centre in Bremerhaven. As an independent power producer, Energiekontor Group has been operating its own Group-owned wind farms in Germany and Portugal since 2002. The first two British projects are added at the turn of the year 2012/2013. The sale of the electricity ensures continuous income. 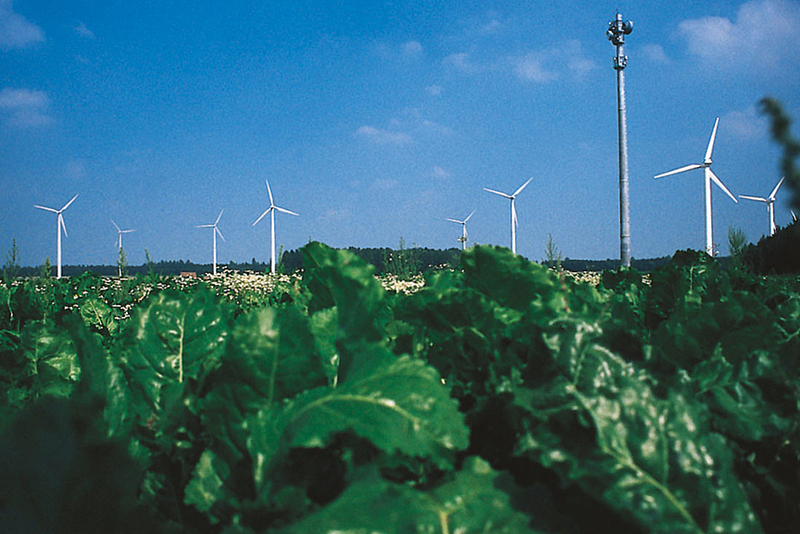 Energiekontor officially commissions the Zülpich wind farm in North Rhine-Westphalia. Two of the seven wind turbines belong to local citizens, the other five have been taken over by an infrastructure fund. 25 years after the company was founded, Energiekontor boasts the realisation of some 580 wind turbine systems with total rated power in excess of 840 megawatts. This corresponds to an investment volume of more than EUR 1.3 billion. In its European key regions, the company prepares itself intensively for the upcoming renewable energy auctions; in the first round of the German pilot auctions for photovoltaic ground-mounted solar arrays, it is awarded the contract for the Nadrensee project in Mecklenburg-Western Pomerania. Energiekontor has successfully realised the Nadrensee auction pilot project and has been awarded the contract for another solar park in Brandenburg. All wind farms scheduled to be erected in 2016 go into operation as planned before the end of the year, including three repowering projects with total power of 27.4 megawatts. Furthermore, the company has secured itself many permits: in Germany alone, these amount to power of approximately 80 megawatt. As these permits were granted before the end of 2016, the projects can be realised independently of the auctioning procedure for renewable energy starting in 2017. Permits granted before the end of the year in the UK also reach some 20 megawatts of wind power.